Ma Cong has been widely recognized by the dance world as a passionate, bright, and inspired rising star choreographer. Critics have described his choreography as being powerful and passionate. Ma is the Resident Choreographer of Tulsa Ballet. Having started his dance career at the Beijing Dance Academy, where he trained in the art of Chinese classical dance, Ma soon discovered his love for ballet and went on to graduate with honors. Ma danced with The National Ballet of China from 1995 until 1999, prior to joining Tulsa Ballet. During his 12-year tenure at Tulsa Ballet, he quickly rose to the rank of Principal Dancer, performing works by John Cranko, Nacho Duato, Jiri Kylián, William Forsythe, George Balanchine, Jerome Robbins, Ben Stevenson, and many others, in addition to the 19th century classics. Ma was one of the most celebrated and loved Artists in the company’s history. As a choreographer, Ma launched his career with Folia, created on Tulsa Ballet in 2004. He went on to create several more works for the company and was named Tulsa Ballet’s Resident Choreographer in 2009. Shortly thereafter, he choreographed an original piece entitled Calling for Houston Ballet II, after which Ma was described by Houston’s En Pointe as having “swiftly risen to become one of America’s most exciting choreographers.” In March of 2010, ABT principal dancer Michele Wiles performed his work In the moment at YAGP’s Grand Gala in New York City. He has created many original works for Houston Ballet, Joffrey Ballet, BalletMet, Smuin Ballet, Richmond Ballet, Cincinnati Ballet, Singapore Dance Theatre, Queensland Ballet Australia, National Ballet of China, and many others worldwide. 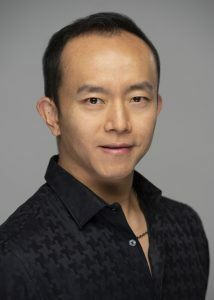 Among his many personal and professional achievements, Ma was named one of the “25 to Watch” by Dance Magazine in 2006 for his dancing and choreography works as well as The Choo-San Goh award in 2007. His work Melodia, was presented in Grand Gala at Pesaro International Choreographic Festival and Miami International Ballet Competition Gala. In 2008, Ma was the winner of the 21st Century Choreographic competition and also received the “Audience Favourite” and received the “Editor’s Choice Award” from Pointe Magazine. 2013, Ma was named as one of Joffrey Ballet’s Choreographers of Color Award winners. More recently, Ma Cong has continued to have world premiere works presented internationally. He recently created his first original full-length ballet, The Crane Whisperer, for The National Ballet of China, which made its German debut in July 2017. He also created a brand new Four Seasons for the company, which premiered at The 2nd China International Ballet Season. Ma made his Broadway debut while working with Julie Taymor on the revival of David HenryHwang’s Tony Award winning play M. Butterfly, starring Clive Owen. In 2018, Glass Figures, his most recent work for Tulsa Ballet, premiered at the Joyce Theater in New York and received rave reviews from audiences and critics alike. Ma Cong lives in Tulsa, Oklahoma with his husband Thomas and twin boys Thomson and Mason. He continues to be in demand worldwide for his unique talent and creations.